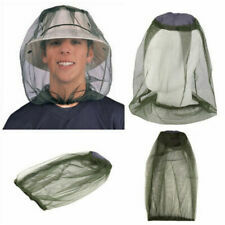 Net Canopy Bed Curtain Dome Mosquito Insect Stopping Single Double Queen . 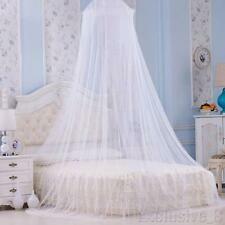 4.5 out of 5 stars - Net Canopy Bed Curtain Dome Mosquito Insect Stopping Single Double Queen . 2 product ratings2 product ratings - Net Canopy Bed Curtain Dome Mosquito Insect Stopping Single Double Queen . Material: polyester chemical fiber. Leave the window open without unwanted bugs coming in. Color: white. This mosquito net is fine and see-through, which can keep the air fresh. High quality material, very comfortable to touch! Color: White. Due to light and monitors effect, color difference may exist slightly. Colour: BlackDescription:Material: Polyester FabricSize: 190cm(W) x210cm(L) x 240(H) (there may be 2-3cm error)Fiber fineness:50D. soft and breathable, quality assuranceFour (4) openingsHardware: (4) anchors, (4) screw hooksIt features four (4) corners with top-loops to hang from a ceiling or tie around bed posts.Ideally fits queen and king size beds to create a romantic look and installs quickly.Can also be used to surround a sitting area or outdoor area.Hardware is also included.Colors may not appear exactly as seen on photo in real life due to variations between the computer monitors and naked eye color difference.Package Includes:1 x Bed Netting Mosquito Net Brand Unbranded MPN Does not apply UPC 4894462418086. Très écologique, cette moustiquaire vous dispensera de l'utilisation de pesticides. - moustiquaire sous blister. - adhésif double face spécial contour de fenêtre. N'hésitez pas. Net Weight: Approx.21g. 1 X Head Face. Can be folded for easy storage. Color: As picture shows. Agfabric 50x5ft Garden Mosquito Netting Bug Insect Bird Net Hunting Barrier. Agfabric 10x12ft Garden Mosquito Netting Bug Insect Bird Net Hunting Barrier. Agfabric 20x8ft Garden Mosquito Netting Bug Insect Bird Net Hunting Barrier. Net Weight: Approx.21g. 1 X Head Face. Color: As picture shows. Can be folded for easy storage. Whether to protect yourself from potentially harmful insects or to add dramatic flair to your bedroom, you can find a bed canopy made from white mosquito net to match your space and style. Today's canopy ranges from purely functional, for use as mosquito netting when camping or visiting areas with insect-borne diseases, to whimsical, colourful canopies designed to drape over the bed. Some styles of netting come with a free-standing frame while others are designed to drape from the ceiling. What should you consider when selecting a mosquito net? Mosquito netting is usually categorized by how many holes it has per square inch and typically ranges from 156 to 400. Netting with more holes per square inch can keep out even the tiniest midge but also decreases breathability. A low count provides maximum circulation but also allows more insects to pass through. If you want breathability but need protection from tiny insects in your bedroom, your net can be treated with a mosquito repellent or insecticide. A mosquito net with at least 156 holes per inch is considered adequate for keeping mosquitoes out. What styles of bed canopy are available? You can find mosquito netting in a wide variety of shapes and sizes. Some are more suitable for travel while others are intended to add exotic flair to a room in your home. Wedge: This is perhaps the most universal shape. It can be hung from one or two points on the ceiling. It is a very lightweight and compact bed canopy, making it suitable for traveling. Bell: This may be the most common for a purely ornamental canopy in the bedroom. This type hangs from a single point so is easy to install. It has an internal hoop to help spread the netting over the bed. The Bell canopy affords a generous amount of space and air circulation. Box: This type of bed canopy attaches to the ceiling at four points. 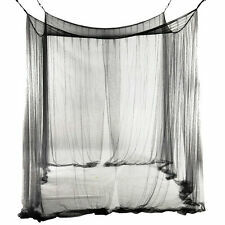 You can also drape this type of net fabric from a four-poster bed to add mystique to your bedroom. The box canopy offers maximum space and circulation. When designed for decorative purposes, the side panels are usually split for ease of access to the bed. Ridge: This style of mosquito netting is a great option for camping. Ridge netting has two hanging points so that you can hang it between trees, cars, or other stationary objects. Because it's not as spacious as the bell and box style bed canopy, it retains more heat to keep you warm when you're sleeping outdoors. What is a mosquito net made from? You can find mosquito net in a variety of fabrics, both natural and man-made. Polyester is a very common fabric for a canopy over your bed. You can find this mosquito canopy in white or in a wide variety of fun colours. It is also widely used in a variety of outdoor net styles. Cotton is another popular choice for a mosquito net and is also available in a variety of colours. It is more common to see cotton net used for an indoor bed canopy.